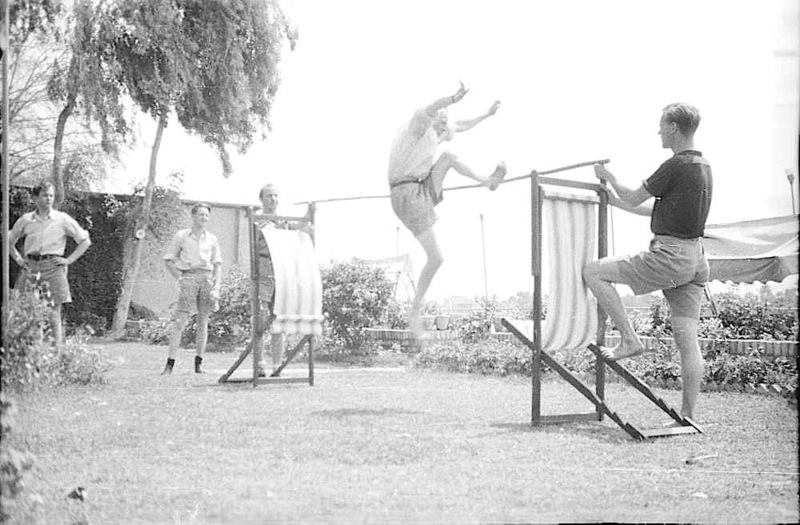 Norwegians celebrating Norwegian National Day (May 17) in Baghdad, Iraq, in 1941 by standing high jumping over a pole set up between two deck chairs, via DEXTRA Photo Collection Commons on flickr. Did you know that date is celebrated in many places in Wisconsin? Syttende Mai (17 May) was the first bit of Norwegian language/history I learned when I moved here. Mark and I had our first date on 17 May so it’s easy to remember. I think this photo captures something of the (nice) sentimentality and sometimes slight goofiness of national days celebrated in foreign countries.